No, you don’t have to straighten your hair for a nice updo, in fact, you can try so many styles of updos for naturally curly hair. 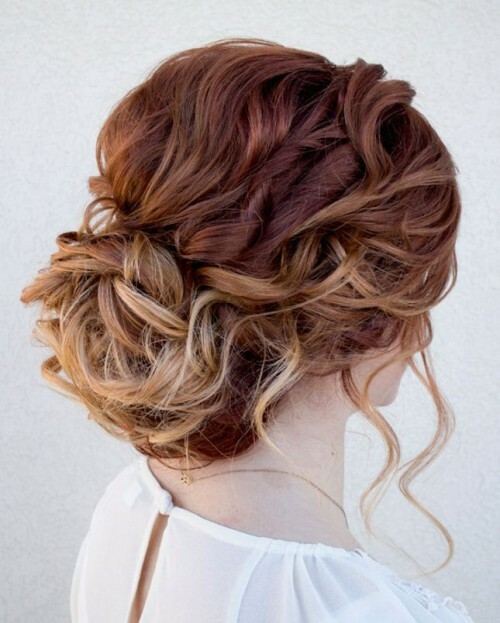 Not to mention that most of the updos need to start from curls, so you are one step closer to your updo. Most of the time, women with naturally curly hair are looking for a new updo hairstyle because they don’t have the time in the morning to handle their curls or they just don’t want their curly hair down. 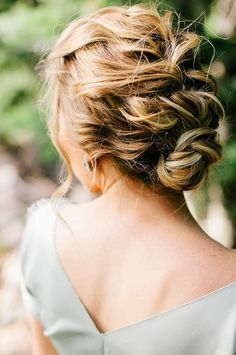 Updo seems like the closest option when it comes to having your naturally curly hair done and ready for an entire day or a special occasion and knowing that your hair stays that way. 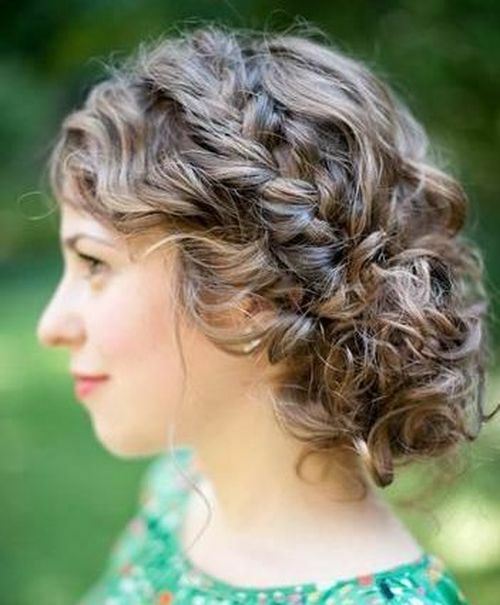 Here are some beautiful updos for naturally curly hair. Low messy bun is one of the solutions to your naturally curly hair. This way to style your hair will give enough volume to your back because of the curls. A quick updo? The topknot is the answer when you are in a hurry and you want your hair done in minutes. Of course, on naturally curly hair it will look amazing and with the right volume on top. Want something out of the ordinary? Try a twisted updo. It can be made just from one twist or more. It is easy to do, even though it looks complex. Secure your twisted updo with pins to be sure it will last. 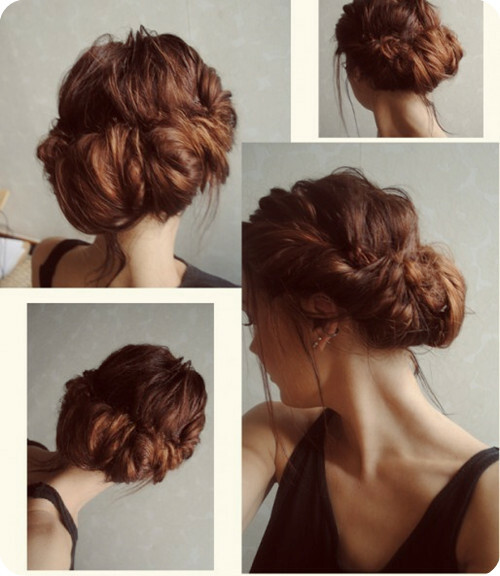 Braided updo has to be on your list of updos to try! The good news is that you can style it on shorter hair too. It can be made from multiple braids or just one, it can be a high updo or a low one. So many choices! Side updo is the right choice for women who want to elongate their face. Make sure to create volume in the right places, on the top if you want to elongate your face more. 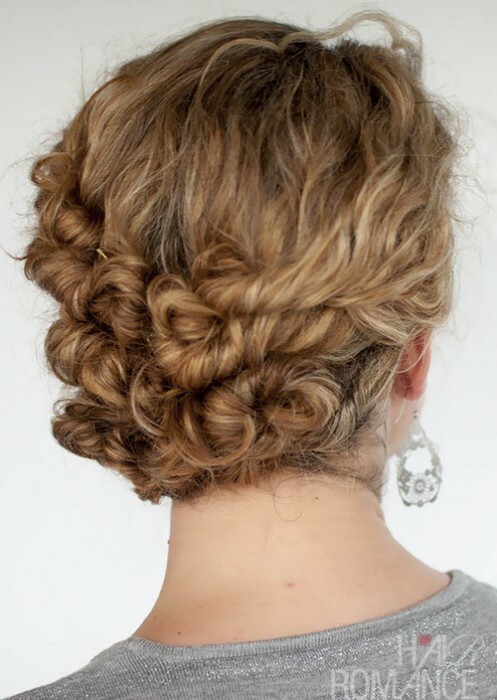 Another easy hairstyle for naturally curly hair is the rolled updo. Retro updo! A classy way to style your hair and it is perfect for your curly hair. If you are going to attend a formal event this is the perfect hairstyle. Add an accessory to your updo, no matter what kind it is, in order to make it special. Sometimes all you need is the right accessory.